Karo (05/11), the incident of Sinabung has now begun to extend to a radius of 5 km due to the increased activity of the volcano eruption. The threats of incandescent rocks, hot clouds, ashes, and concentrated sands are very harmful to the villagers living around the site. Seeing this situation, PT. Adira Multi Finance Tbk (Adira Finance) which is also a part of this community, feel the same experience suffered by the victims and refugees of Sinabung eruption. Through its Corporate Social Responsibility (CSR) themed in Adira Care, Adira Finance in cooperation with KODAM I Bukit Barisan provides helps in form of rice for around 3,000 people in 17 evacuation points located in Karo. The helps and aids were given on Wednesday, November 5th, 2014 at the University of Karo. These all is provided directly to the refugees in the area Karo by Abdul Rochim as the Head of Adira Finance Regional in North Sumatra along with Gen. Gatot Nurmantyo as the Chief of Staff of the Army, and Major General Winston P. Simanjuntak, the Commander 1 of Bukit Barisan and the officials of North Sumatra Province . 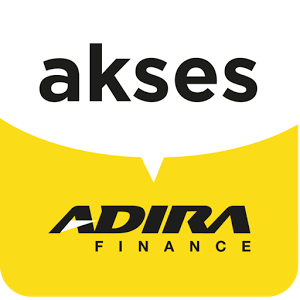 “This event is a form of Adira Finance’s vision realization that is to create the value of togetherness for the sakes of the company’s interest and also to improve the welfare of Indonesian people. We hope that our donation can be helpful to the residents and refugees during the evacuation time after the eruption of Sinabung Mount “, added Abdul Rochim.